April Marie received her Bachelors of Music on a vocal scholarship from George Mason University, in Fairfax, Virginia, and received her Masters in Jazz Studies from the College of Saint Rose in Albany, New York. 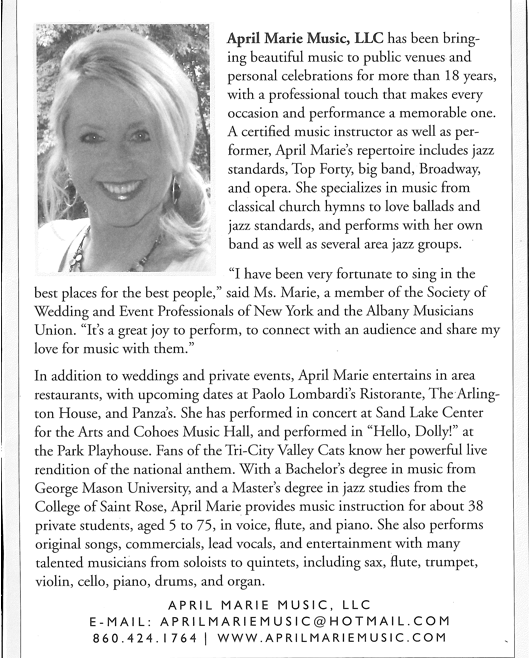 April Marie is certified to teach music education in New York State, and is owner of April Marie Music, LLC. Her repertoire includes jazz standards, Top Forty, big band, Broadway, and opera. She has performed throughout South Florida at places such as the Fountain Bleu, Boca Raton County Club, and the Caribe I Cruise Lines out of Miami, Florida. April has performed in "Hello, Dolly!" at the Park Playhouse in Albany, New York. She may be seen on Channels WTEN, WFOX and WRGB performing a local manufacturer's television commercial, or at the Joseph L. Bruno Stadium, singing the National Anthem for Tri-City ValleyCats games. 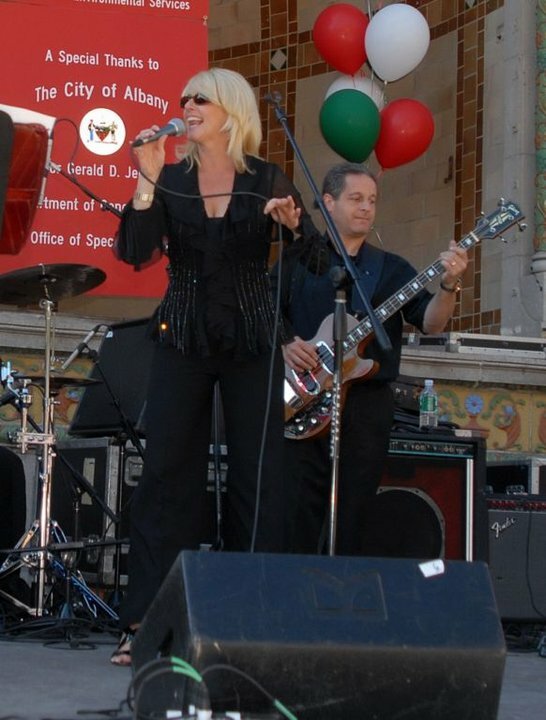 April has been singing in the Capital Region for over 14 years with her band and has the honor of singing with several of the wonderful jazz bands in the area. She is a proud member of the Albany Musicians Union. Through April Marie Music, LLC, she provides music instruction for ages 5 to 75 in the specialty of voice, flute, and piano. April also does original songs, commercials, lead vocals, and entertainment with the many talented musicians with whom she is associated. Click here to contact April Marie.